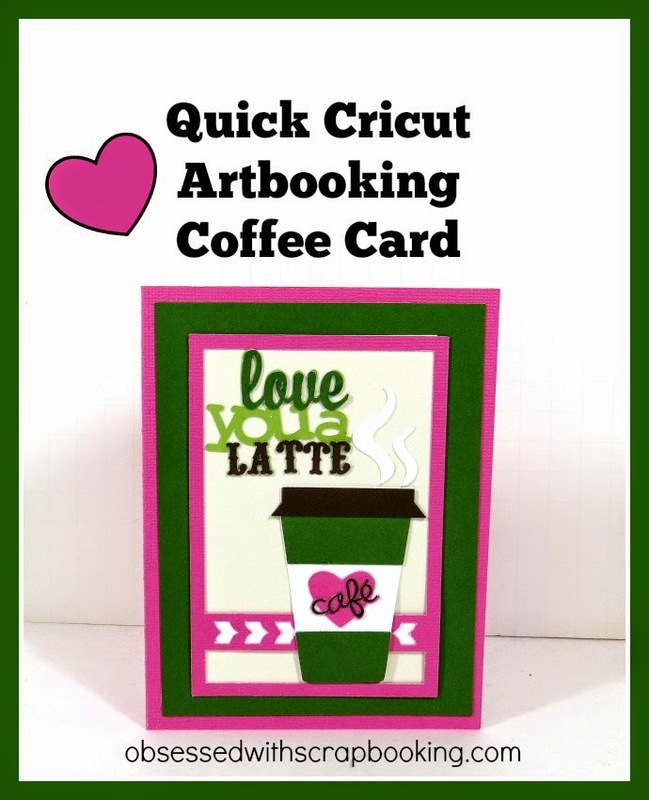 Make a fun, quick coffee themed card using the Artbooking Cricut cartridge and the Love you A Latte Cricut cartridge! Click here for the Design Space file! 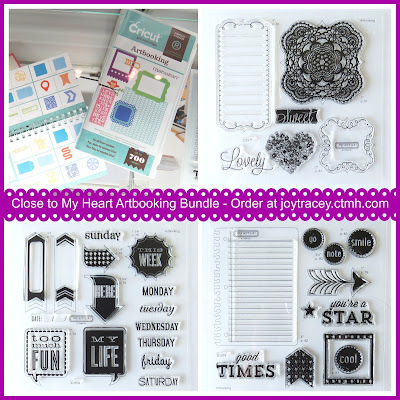 1) Leave a comment below - Do you want more scrapbooking layouts shown? I hardly show any at this point but more than happy to add them in! I love your card "A Latte"! Thank you for sharing! I would love to see more scrapbooking layouts, I'm always looking for new ideas! YAY 1st comment!! I WOULD love to see more Scrapbooking Layouts.....are you shocked *LOL* I love the way you scrap so YES More PLEASE!!! yep I've reduced myself to begging!! (LOL) I love the card you created today it's so fun and as a Huge Kiuppa Kuppa luva....I can only imagine how excited your friend is going to be when they receive it....a coffee gift card and a Joy hand crafted card....gosh I know from experience that your cards are to be treasured and kept forever....yep still have mine!!! YOU so ROCK!! I would love to see more layouts- it's always great to have new inspiration. Love the "Latte" card. Your tutorials are the best. I have learned so much from you. Thank you. I'm mainly into card making but would like you to some scrapbook layouts. Maybe it will inspire me to try something new! Honestly I really don't stray very far from my own scrapbooking "style". I start with my photos and go from there, often not doing more than adding mats and a title. Especially since I"m SO far behind and just need to get them done! Cards are my more creative outlet. 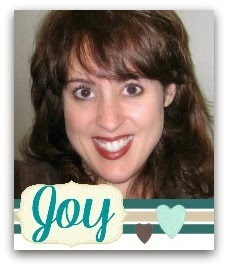 I scrapbook but not much with style similar to what Swimmom comments. Enjoy the card projects more. Really enjoyed today's video. Cute card! I really don't scrapbook much - I mostly make cards and tags, so I'd actually like to see more tags. Thanks so much for all you do! I love the cards I wouldn't; mind seeing some layouts. Your videos are wonderful. What a cute card! I make cards and layouts, so I always enjoy seeing both. Thanks for the inspiration! Great card design. I am mainly a card maker but wouldn't mind seeing layouts. Yea I would live to see more scrap book layout, please!!! I've seen a few 'Love You A Latte' cards but as usual you bring something new and unique to your projects. The color scheme is unique and fresh, and it looks like we can personalize the latte with a person's name by using a different but similar heart and font. This is why I follow you and also why I buy your products! Keep up the good work, and have a happy, healthy New Year. I love seeing anything you post but I would like to see a scrapbook layout every now and again! I scrap a little bit but seem to get into such a rut. I would love to see multi-photo layouts because that's how I scrap! Thanks and happy new year! I am mostly doing cards for now, but think any ideas could be taken from a layout and applied to other things. Love the card. Would love to see scrapbooking layouts. Thanks for the chance to win. Love the card and would love to see more layouts. Did you know you can clean your spatula with alcohol? Love this card, love the colors. Glad to have you back. Here's to a very happy 2015! Love this card and would love to see more scrapbooking layouts! Anything you post is always very helpful. Thanks for the chance to win this cute stamp set.